Creative IT London offers a complete range of Asus laptop repair and upgrade services for customers across the United Kingdom. Our wide range of Asus laptop technical support services include expert diagnosis and troubleshooting of hardware and software problems, optimisation of your operating system for enhanced performance, network support services to installation of latest operating system and security updates for all Chromebook models, ASUSPRO Series, FX / ZX Series, Gaming Series, VivoBook (E Series), VivoBook (K series), VivoBook (N series), VivoBook (X series), VivoBook Series, VivoBook Slim Series, ZenBook Classic Series, Zenbook Deluxe Series, ZenBook Flip Series and ZenBook Pro Series. With over ten years of providing quality London Asus laptop repair and support services, we have expert technicians and advanced equipment for all your business and home notebook technical needs. We can address all types of common Asus laptop issues such as dead laptop or laptop won’t power on, laptop powers on but no image on the screen, laptop starts with a blue screen error, laptop all of a sudden shutting down while playing games, laptop freezes randomly for a few seconds, laptop optical drive makes noise while playing CDs or DVDs, laptop won’t boot up and keeps making a clicking sound on startup, laptop screen shows vertical or horizontal lines, motherboard failure, liquid or water spill damage, distorted video issues, Asus laptop overheating and slow laptop, keys on keyboard not working properly, wireless connection issues and other component level laptop issues. As a part of our laptop computer repair support, we stock a wide array of parts and accessories, compatible to all Asus laptop models, to fix your notebook computer quickly and efficiently. 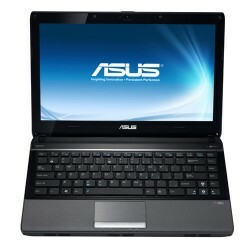 Our turnaround time for almost all London Asus laptop repair and upgrade services is 24 to 48 hours. You can bring in your out of order laptop to our repair store in Central London and obtain a quick diagnosis and repair while you wait or same day. We also accept mail-in laptop repair orders from clients throughout the United Kingdom. If you need an instant quote on Asus laptop repair and maintenance services, just give us a call on 020 7237 6805 or send Creative IT UK an email at info@creativeit.tv.